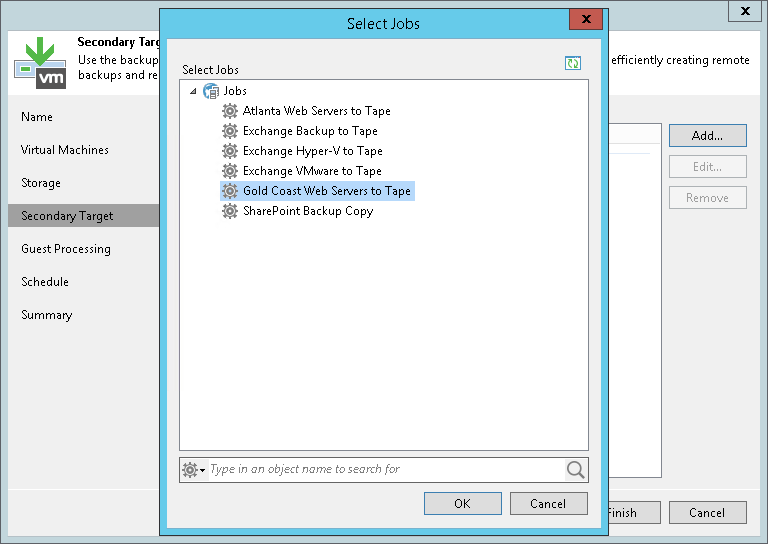 If you already have backup jobs configured, you can choose the necessary jobs in the Backup to Tape Job Wizard. For details, see Creating Backup to Tape Jobs. Alternatively, you can point a backup job to an existing backup to tape job using the Backup Job wizard. Open the backup job settings and navigate to the Storage step. Select the Configure secondary destination for this job check box. At the Secondary Target step, click Add and choose a backup to tape job to which the backup job should be linked. Save settings. 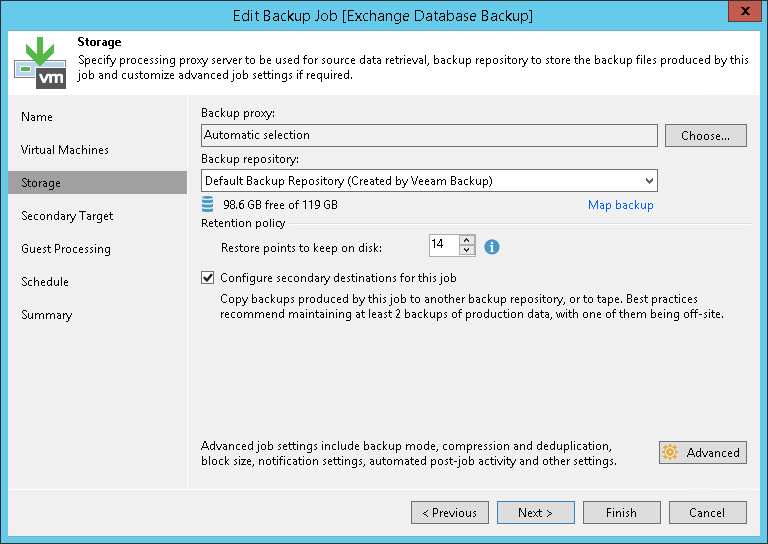 Veeam Backup & Replication will automatically update backup files settings of the chosen backup to tape job.